I look through tons of videos of Iceland each and every day, but sometimes the unbelievable happens: One of those videos almost makes me cry. That is precisely what happened when I watched Alex Gorosh’s video on Vimeo, that he shot while vacationing in Iceland during the winter time. The video is aptly named You Can Skip Iceland (but you shouldn’t) and I promise you that you will day dream about going to Iceland after watching it. And if you’ve already been to Iceland, you will yearn to return. I’m Icelandic and even I got the sudden urge to just drop everything and drive off into the sunset! The video documents Alex’s trip in Reykjavík and along the south coast. We get to see amazing shots of Jökulsárlón glacier lagoon, Svartifoss, Seljalandsfoss and other majestic waterfalls and lots of northern lights. Seriously, he really hit the jack pot with some serious northern lights sightings! I wonder if he read our amazing tips? The northern lights play a key role in the video. All these beautiful images float across your screen under the southing tones of Icelandic musician Ásgeir, singing Dýrð í dauðaþögn. If you don’t know who Ásgeir is, I recommend you familiarize yourself with this wonderful singer. That is, if you like the aforementioned song. I just can’t get enough of this clip! 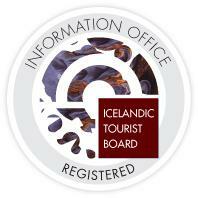 It so impeccably encompasses what Iceland is all about and why people flock to this island in the north. It also shows you that you don’t have to wait for the summer to travel to the north. This country is unbelievably beautiful in the winter time and if you bring some warm clothes and good shoes you will have a blast! I know I’m bias and all, but there just isn’t a place in the world quite like Iceland. Enjoy the show! You Can Skip Iceland (but you shouldn’t) from Alex Gorosh on Vimeo.